This holiday season, share your story and contribute to the exciting future of AANP with a brick paver or honor wall plaque. Every NP has a story to tell. From graduating with your MSN, DNP or PhD and becoming certified to being honored as a Fellow of AANP or starting your own practice, your story is filled with milestones, life-changing achievements and an unwavering dedication to your patients. As this year draws to a close, AANP is reflecting on the stories of NPs throughout the country. From Guam adopting full practice authority to a record number of NP Week proclamations, plus the passage of critical opioid legislation, your membership has made a measurable difference this year! 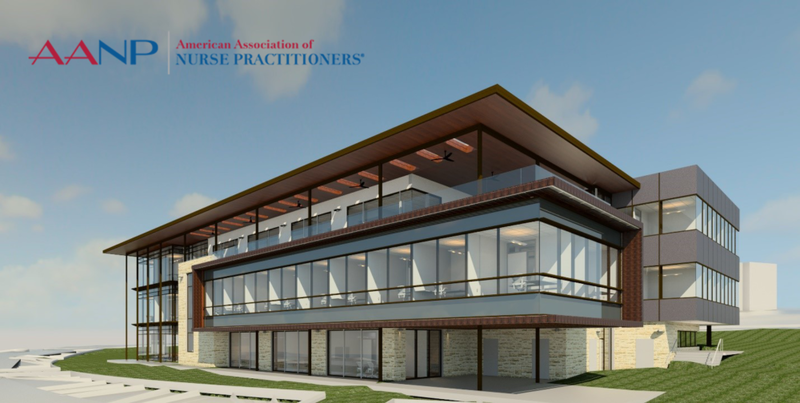 The next milestone of our story is quickly approaching as AANP’s new Austin headquarters nears completion. The home of your NP association, this new building will allow AANP to even better serve as The Voice of the Nurse Practitioner® as we join together to celebrate NP successes, collaborate to address challenges and, ultimately, work to improve the health of our nation. Now you can make a lasting impression on AANP. Honor your NP story, or that of a fellow AANP member, by customizing a brick paver for the exterior walkways or a plaque for the honor wall of the new building. Both the brick pavers and honor wall plaques are available in multiple sizes, with room for several lines of text. Whether you are supporting your association or are creating a gift for a loved one, this is the perfect option to give thanks, celebrate your legacy and leave your mark for years to come. Your ongoing patronage is a testament to the strength of the NP role and reflects AANP’s commitment to sharing, advocating and supporting the NP story. Within moments, you can join 97,000 of your colleagues as a member of AANP and begin accessing your benefits immediately.